Sjötorpets Camping, Restaurang och Café is located in the south-western corner of Småland, near the centre of Markaryd. Sjötorpets Camping, Restaurang och Café is just a couple of minutes from the E4. Welcome to book your camping pitch with us, we have 45 pitches for tents and caravans scattered around the area, and three basic cottages. 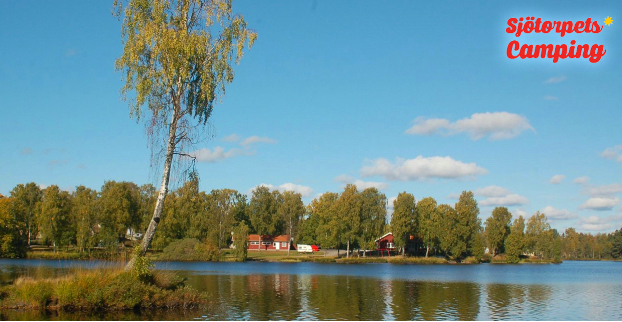 Lake Getesjön offers swimming and play opportunities on the beach in the camping area and would you like to explore the lake closer you can rent one of our canoes or rowboats. The restaurant serves lunch all year round. Most days we cook a Swedish and a Greek theme. In the café we serve good coffee, hot chocolate with whipped cream, ice cream, pastries and other delights.